YES YOUR EYES ARE NOT DECEIVING YOU SELLER ASKING ONLY $70,000 Full Liquor, Patio, Great Location!!! This restaurant HAS LOCATION, Location, location as it sits at streets edge, with people walking by all day long. With a nice patio for guests to relax, enjoy their favorite drink and a delicious meal as they watch the people stroll by. There is a 47 full Liquor License so whether its a favorite cocktail or one of the craft beers or a fine wine offering you've got everyone covered. 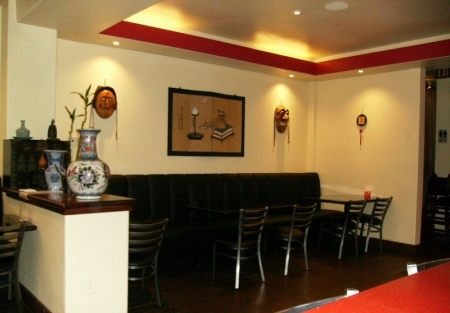 The dinning room has a very comfortable atmosphere and able to accommodate both small and larger parties. The kitchen has all the standard equipment to accommodate just about any cooking style, so you can either continue to build upon the current concept or bring your own as the layout of this restaurant will lend to an easy conversion. Current sales range between $30-$37K per month per register reports. So a you could continue with present restaurant style and devote some time to build upon these sales as current owner has 3 other businesses as well as this one and just doesn't have the time to be here to build sales. This restaurant comes with Common Area bathrooms and entrance area in front. Total rent is ranges from $8,600 to $8,900 a month. This includes the NNN/CAM as well as electric, gas, water and janitorial services. Rent varies on utility usage. At current sales owner states the take home from this restaurant has been in the $3,000 - $5000 per month range. Buyer MUST verify this information. A working owner could cut back on some labor as current owner is there limited hours on Friday, Saturday and Sunday where he fills in and oversees the business. The restaurant currently offers an Organic style of Asian cooking with little promotion. With over 80 Yelp reviews and a 4.5 Star Rating this is a much loved place by those who have experienced it. Please visit SellingRestaurants.com to get more information.